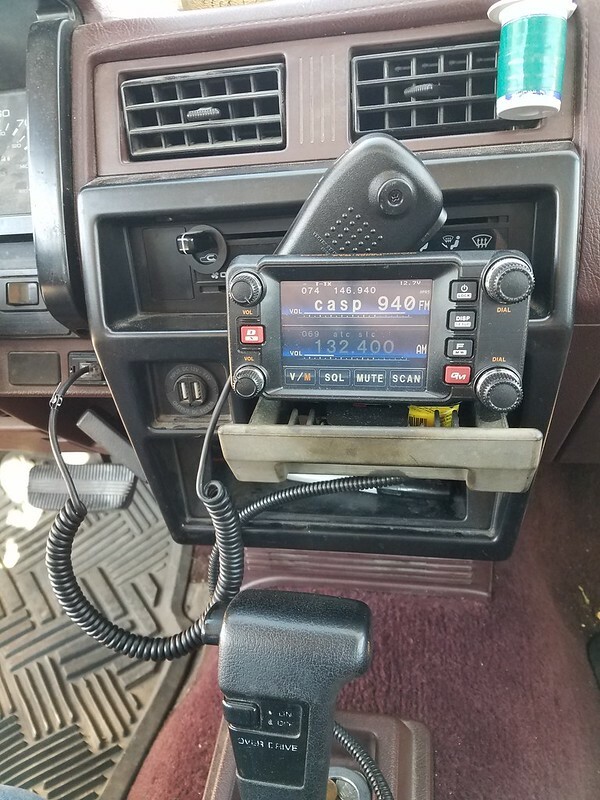 Almost finished installing the FTM-400DXE – Wandering Wyoming…and sometimes, other places. 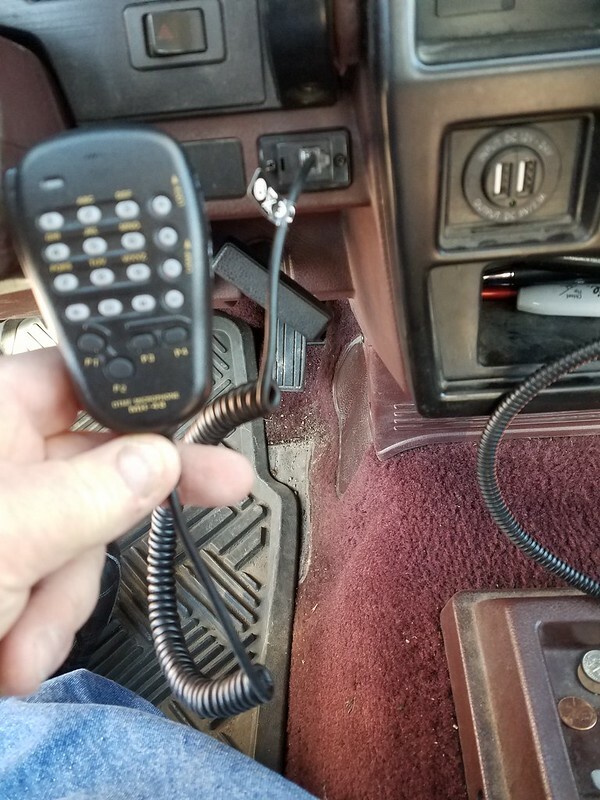 I know, shitay photo, but you get the idea. I wanted access to the display and microphone cables, since I was too lazy (or my body was not flexible enough) to get to them otherwise. 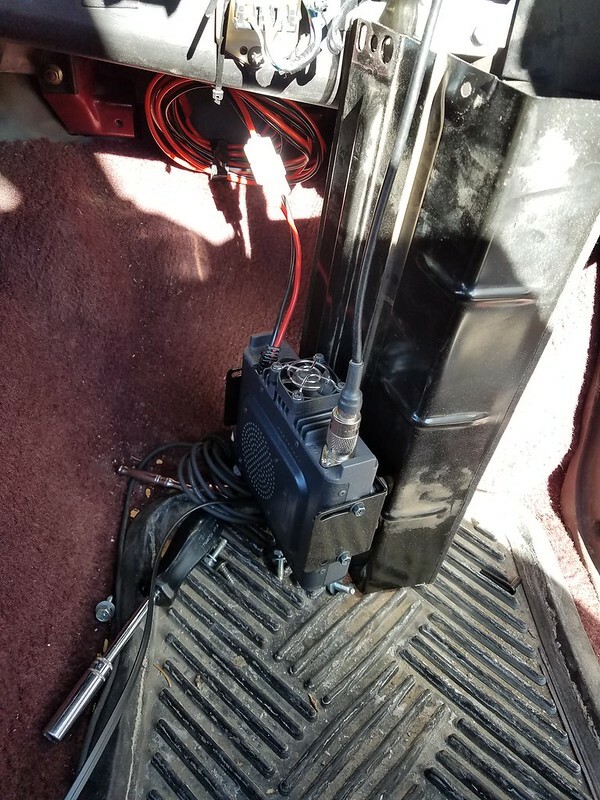 Next, I coiled the mike cable up and tucked it behind the center lower dash cover, and bolted the radio head back into its place. 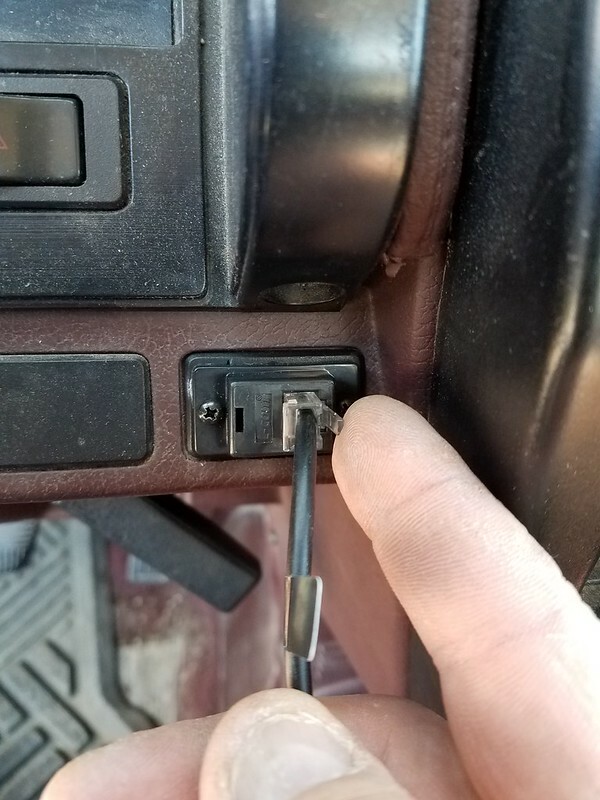 I connected the mike cable to a female by female connector that I’ve installed the the dash. 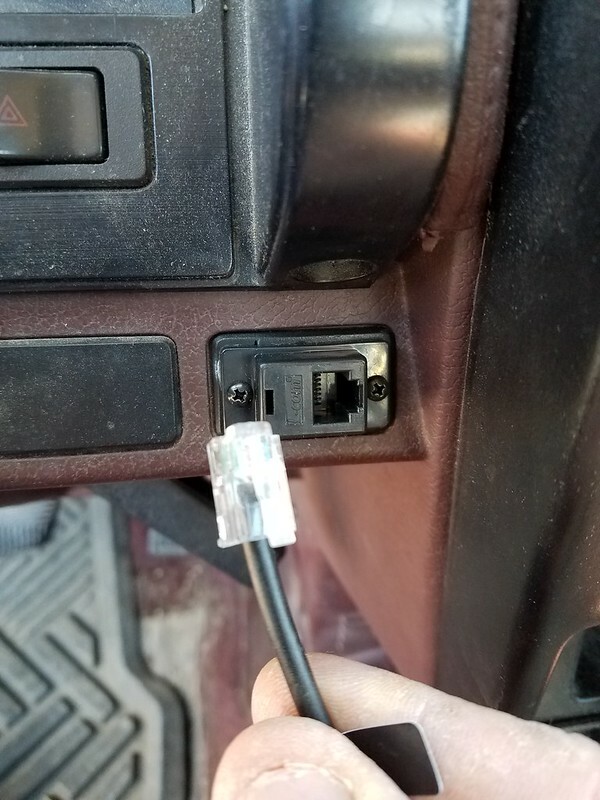 and remove it and toss it in the glove box when I park to keep it hidden from thieves. But my plan (as of today) is to buy a Lido mount and install the display on it. I may also home-brew something out of an old microphone mount, if I can find the right length.